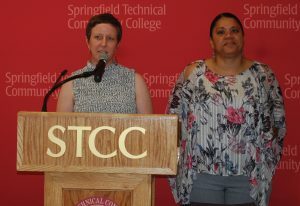 In the midst of the season of high school graduations, a group of dedicated students who had failed to get through high school the first time around earned recognition for passing their high school equivalency test, known as the HiSET, at the Springfield Technical Community College (STCC) Adult Learning Center. 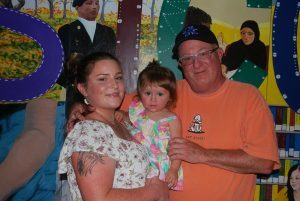 Among those present during the ceremony on Tuesday, June 26, was Morgan LaBelle, 26, of Feeding Hills in Agawam. She said she joined the program through the Department of Transitional Assistance, and initially things didn’t start too well. “I blew it off,” she said in an interview before the ceremony. But the single mother got a second chance to come in after speaking with one of the orientation counselors at the program, and that time stuck with it. LaBelle dropped out of school at the age of 16 and got severely addicted to pills and opiates. “Nobody could tell me I was wrong because I knew it all,” she said. LaBelle pointed to her nearly two-year-old daughter Teresa Carmona as her inspiration for going to get her high school equivalency, and for cleaning up her life. The baby had an excellent heartbeat, and LaBelle vowed to get clean right away. She has been on methadone since then, and has also gotten her driver’s license and a car and apartment of her own. 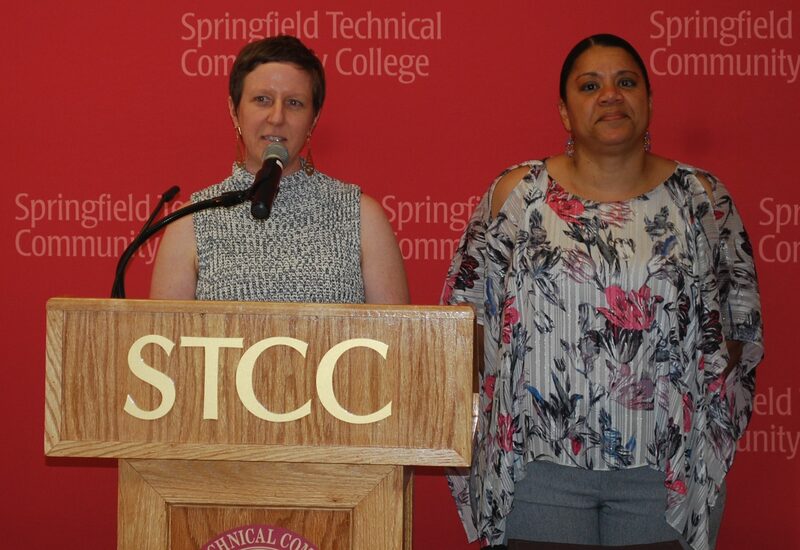 She said she was continually motivated being a part of the STCC adult education program. LaBelle worked at Stop & Shop part time between 25 and 30 hours per week, and also paid $400 a month for daycare for her daughter. In the fall, she has signed up for more classes to get a higher degree in health science, and is angling for a career in that field. The Department of Transitional Assistance is paying for the degree, she said. LaBelle’s father, Michael LaBelle, 57, also of Feeding Hills, said he is amazed and proud of his daughter. “I’m just happy she’s on the right path; it’s been a long road let me tell you,” he said. 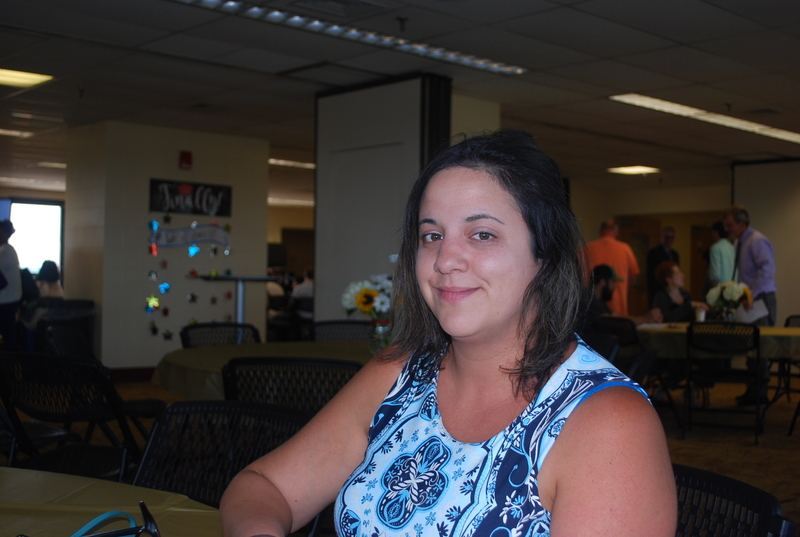 Another graduate, Alexandra Rosa, 31, of Springfield, suffers from severe depression and anxiety, and dropped out of school at the age of 14. “It is hard for me to learn new things or relearn what I used to know, so I tend to hold myself back a lot with doubting myself,” she said. Rosa was nervous to join the program, but did so after encouragement from a friend and her boyfriend. In her entrance exam, she tested at a fifth grade level and started at the program’s most remedial level. 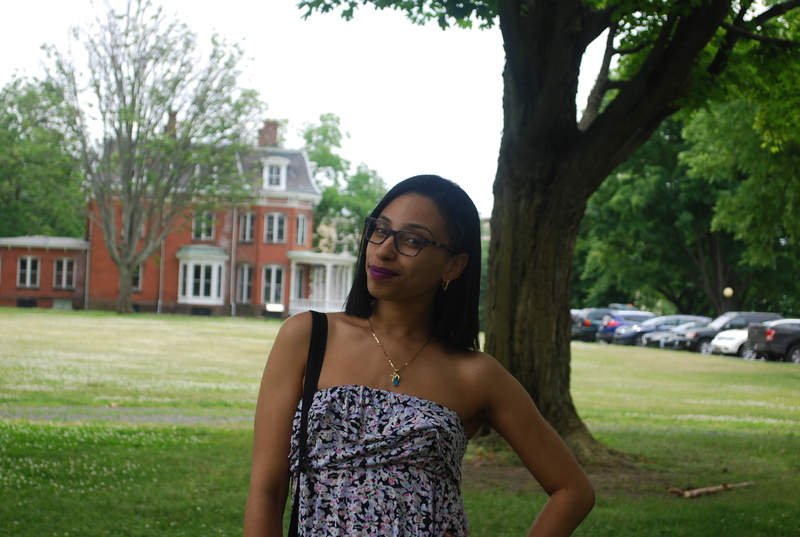 Rosa said she was in foster care when she was a young teenager, and eventually lost her motivation to be in school. She moved in with her sisters on and off and didn’t do much other than help take care of her nieces and a few other odd job tasks, she said. Now she hopes to find work as an administrative assistant or a daycare teacher. She will stay at STCC, taking college courses to seek a degree for early childhood. “I want to extend my education and I just want to use the knowledge I gain from school and use it the best I can to be the best person I can be,” she said. 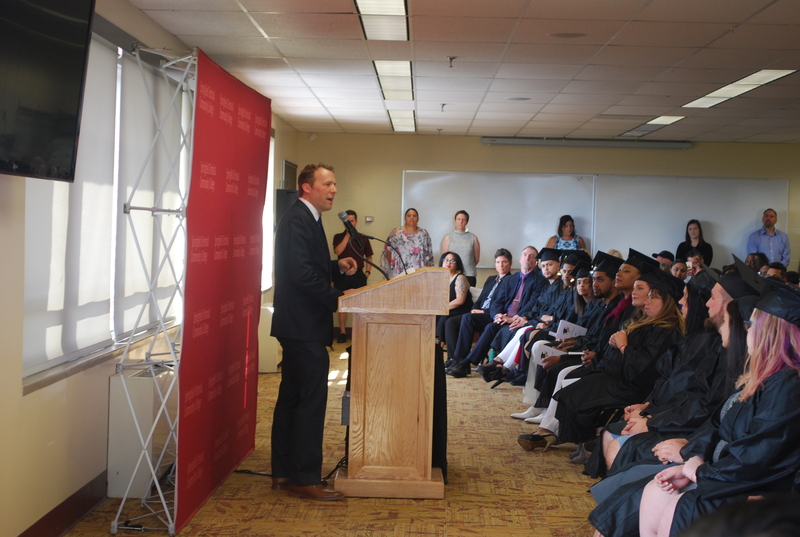 One speaker at the graduation ceremony was John Cook, president of STCC. He said the community college had graduated about 1,000 students in its college degree program and that he was pleased the nearly 40 students who achieved their high school equivalency would be joining them. He said that at the end of the day, the students’ goals and passions will likely involve some college, and he challenged them to invest in themselves further. “Please note this wonderful institution will continue to be there for you,” he said. 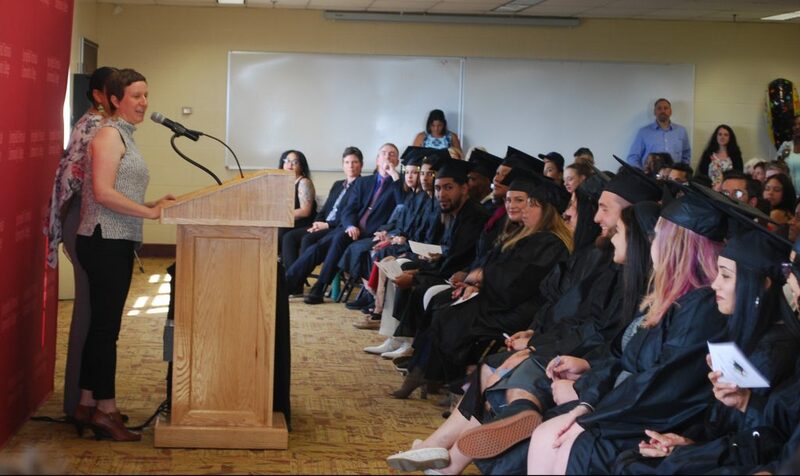 José Lopez Figueroa, director of the Center for Adult Studies at STCC, told graduates about his struggles growing up raised by a single mother and on food stamps. His overall message was that things worth having don’t come easy. He said his mother was a high school dropout born in Puerto Rico and a domestic violence survivor. He said that she failed many times, both in her pursuits at high school equivalency and then at a college in Springfield, where she would drive two hours from their home in Worcester to take weekend classes. But eventually she succeeded in becoming a social worker who helps pregnant and abused teens. Lopez Figueroa said he had his own challenges growing up in the projects and hanging out with the wrong crowd in high school. He said he failed some classes, barely graduated high school, and was even once arrested and spent the night in jail. But he also, like his mother, didn’t quit. He went on to Westfield State University, where he received both his bachelor’s degree and his master’s degree. Lopez Figueroa told the graduates that he liked failure, because it opened up the opportunity for learning. “To me, failure is the seasoning that makes success taste so good,” he said. Shira Simon, a teacher with the program, said before the ceremony began that she would likely cry. She said she originally wanted to be a music teacher but couldn’t find a job. 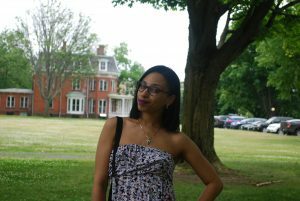 After teaching test preparation courses for the Graduate Record Examinations (GRE), she was approached by a friend about joining the STCC adult education program. “It’s been wonderful and a lot more rewarding,” she said of her time in the program. Simon said classes have to be very engaging and appeal to a wide range of learning styles. “Otherwise you lose them,” she said. At the same time, the classes are fun to teach, she said. 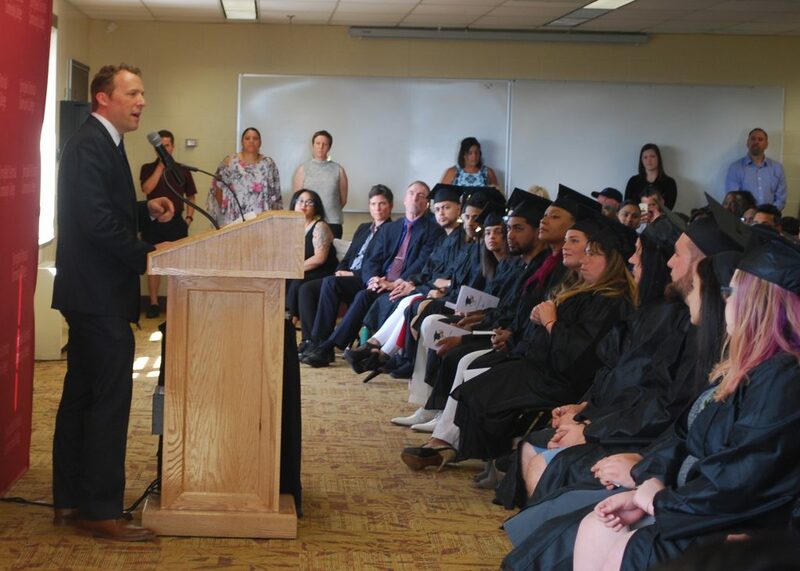 Barbara Bradbury and Ana Sanchez, respectively the interim director and interim assistant director of the Springfield Adult Learning Center, said the graduation ceremony is for all students in the program who earned their high school equivalency in the past year. Sanchez added that the ceremony can feel all the sweeter for these graduates due to the sacrifices they have had to make to achieve this goal. Many have families or children, and other adult obstacles. About three-quarters of those who enter the program complete it, according to Sanchez. For many of the students, it can be a challenge getting into the mindset that talking to a teacher outside of class to get extra help is a positive thing, Bradbury said. 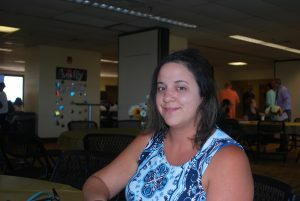 For Sanchez, working to support the students is something she does often. Sanchez said her mother, after earning her high school equivalency, continued on with her education to get her master’s degree. She said that the program is focused on expanding students’ horizons and providing skills they might not even know that they need.